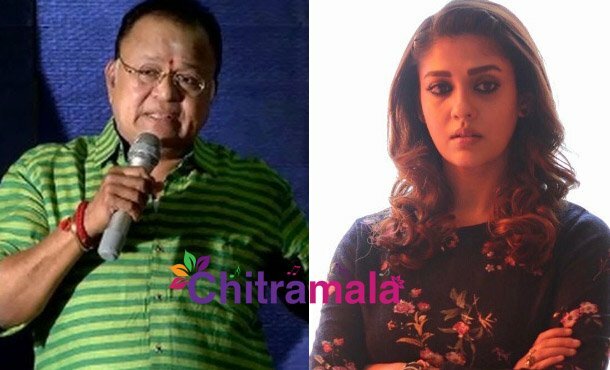 Veteran Tamil actor Radha Ravi is being slammed by the celebrities across the Tamil film industry for making derogatory comments on heroine Nayanthara. Radha Ravi was at the theatrical trailer launch event of Nayan’s upcoming film, Kolaiyuthir Kaalam, the other day. Speaking at the event, Radha Ravi said that Nayan doesn’t deserve the title, Lady Superstar. He added that titles like Puratchi Thalaivar and NadigarThilagam should be awarded to legends and not for every other actor. He also made serious comments on Nayan’s personal life. ” In my days, only actresses like KR Vijaya used to portray the role of Sita. Today, anybody can play Sita,” he said referring to Nayan’s portrayal of Sita in a Telugu film. Many celebrities like Chinmayee, Vignesh Shivn and TM Krishna have responded strongly on these comments and urged the Tamil film industry bigwigs to take serious action on Radha Ravi.